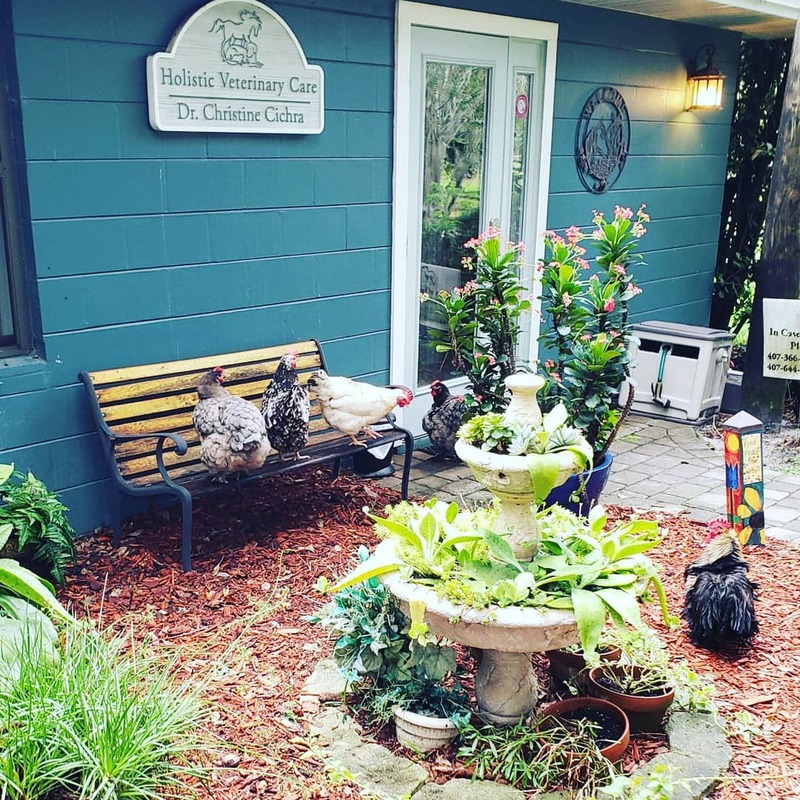 This month’s featured small business is the Holistic Veterinary Care of Central Florida. 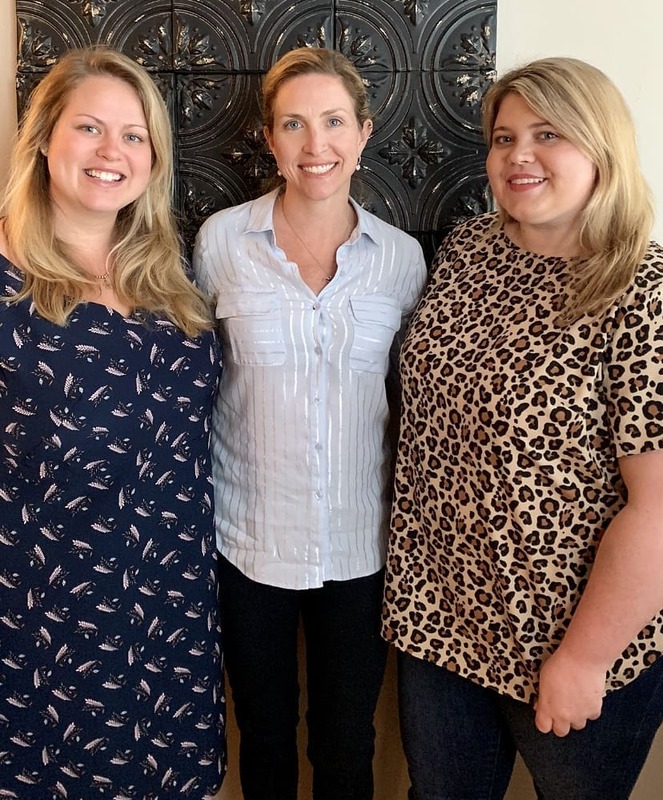 Dr. Christie Cichra took some time out of her very busy schedule, to share a little bit about her practice with us. She is celebrating her 10 year anniversary. Holistic Vet Care of CFL opened March 2009! Please tell us a little about yourself and when you decided to go into Veterinarian Medicine. My name is Dr. Christine Cichra. I am told by my parents that I decided to be a veterinarian when I was 3 years old. Becoming a veterinarian has been a life long goal and dream. It’s hard to believe I’ve been practicing 13 years now! Time flies when you are having fun. I went to Florida State University and graduated with a Biology degree and Minor in Chemistry and Photography. Then I went to the University of Florida for veterinary school where I graduated with a Doctorate in Veterinary Medicine. From there I went to the Chi Institute for Acupuncture School. Then on to the Healing Oasis to become certified as an animal chiropractor. I love using alternative medicine daily in my practice. I love spending time with my three daughters and all of our pets. I love riding my horse and spending time in the barn. Photography has always been a passion of mine. What should clients expect from a Holistic Vet vs a Traditional veterinarian? A very different experience in our practice. The first visit you can expect to be here for 1-2 hours. We take our time with each patient and spend time explaining things to make sure you have an understanding of what is going on with your pet. 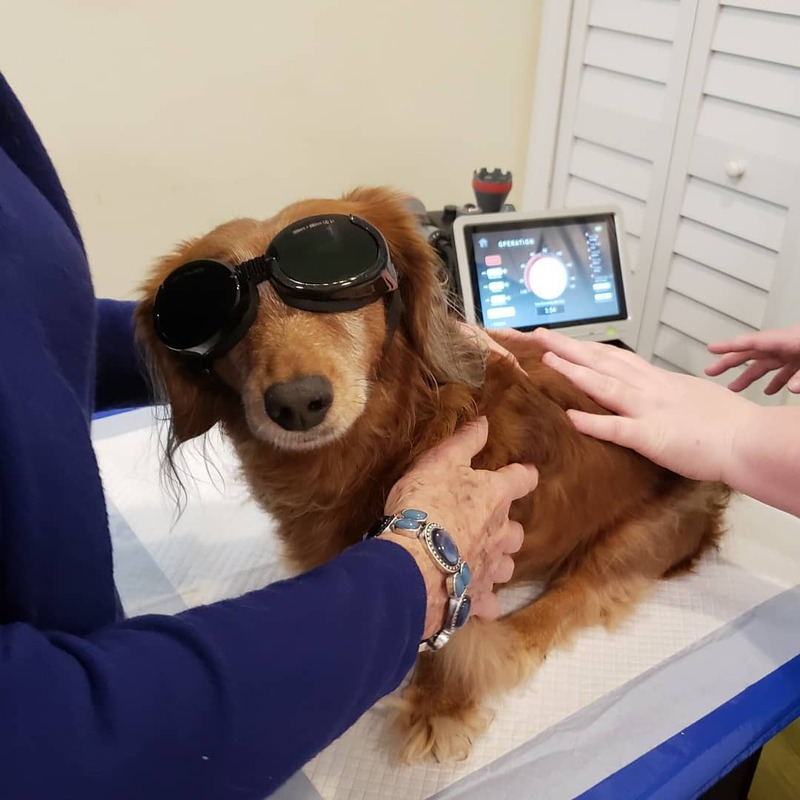 We offer many different treatment options specifically geared toward your pet such as acupuncture, chiropractic , Class 4 Laser therapy, Chinese herbs, homeopathics, CBD oil and more. Probably all of the “business” stuff! I love working with the animals and owners the most. 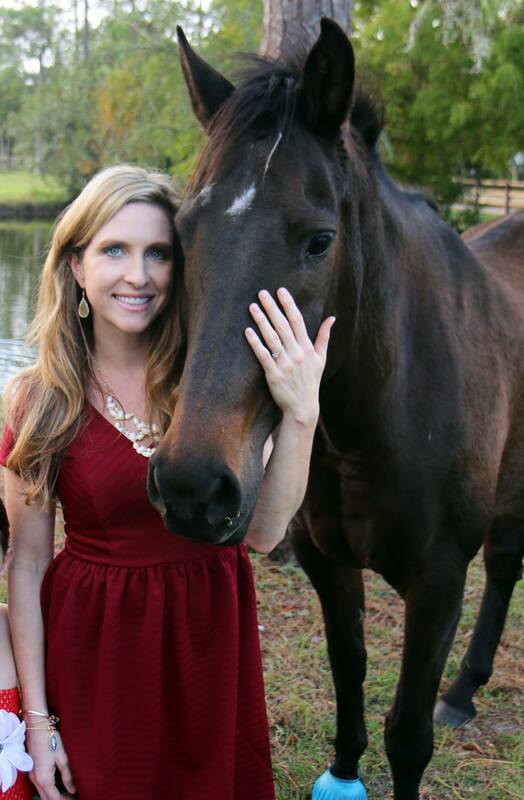 What is the most rewarding thing about running Holistic Vet Care of Central Florida? 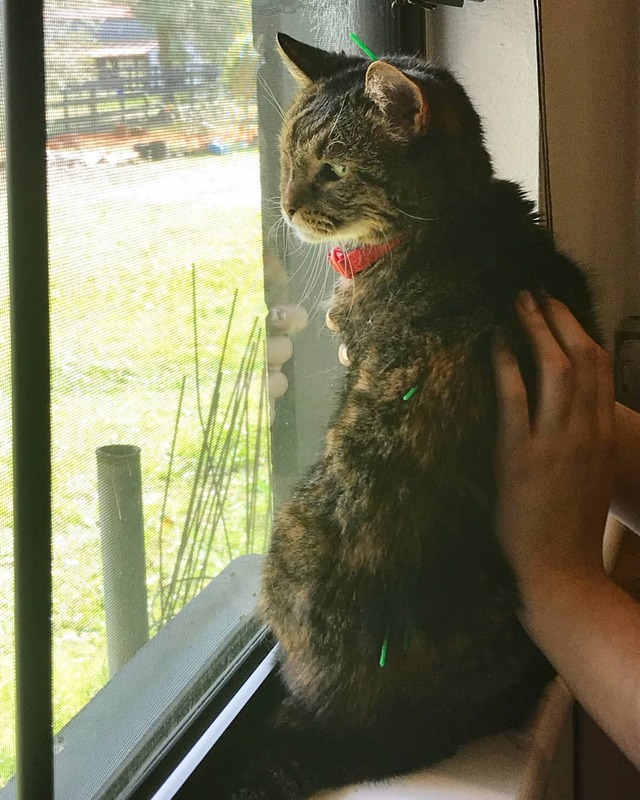 We are able to help so many pets that run out of options on the traditional side. We also promote general health and preventative medicine. Currently I have two team members, Monica and Savanna! They are wonderful and we make a great team. We also have student volunteers that come to get experience and hours for their graduate school applications. How many pets do you have personally? Haha! A LOT! We have three dogs, one cat, one rabbit, two fish, one horse, one donkey, two ponies, thirteen chickens, one goose and two ducks. Winston, Moofy, Taco, Flower, Luna, Seaweed, an unnamed fish, Indy, Donkey, Belle, Malifecent, not all the chickens are named but a few of their names are Teek, Frizzy and Jennifer, Rocky and unnamed ducks. We live in Oviedo and love it! I want to be close to home and my children. Cosett is 20 months old, Juliett is 5 years and Scarlett is 8 years! 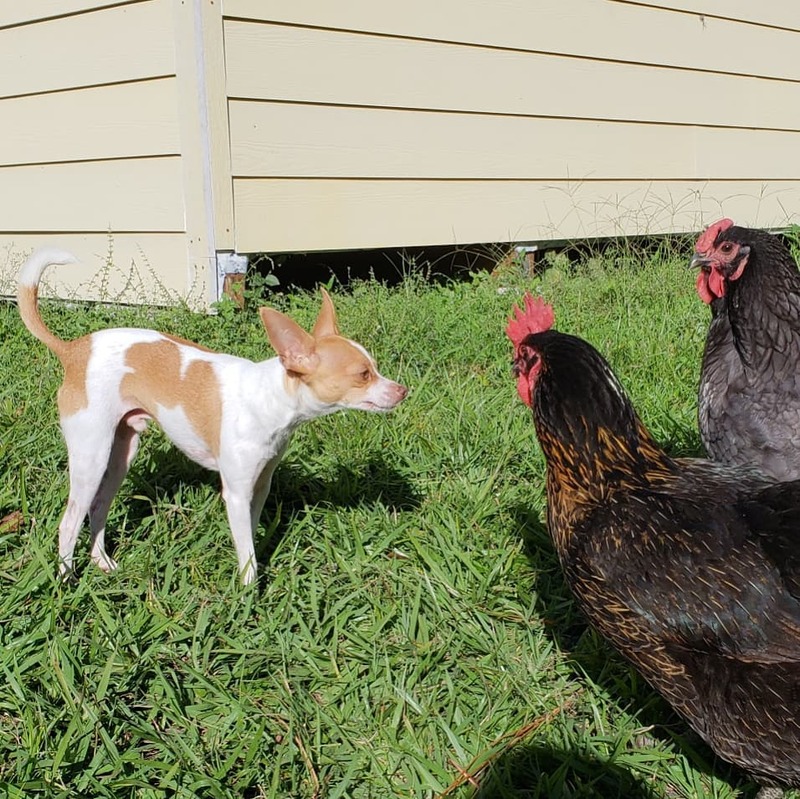 Where can we find Holistic Vet Care of Central Florida online? Check them out! They like to post cute photos! 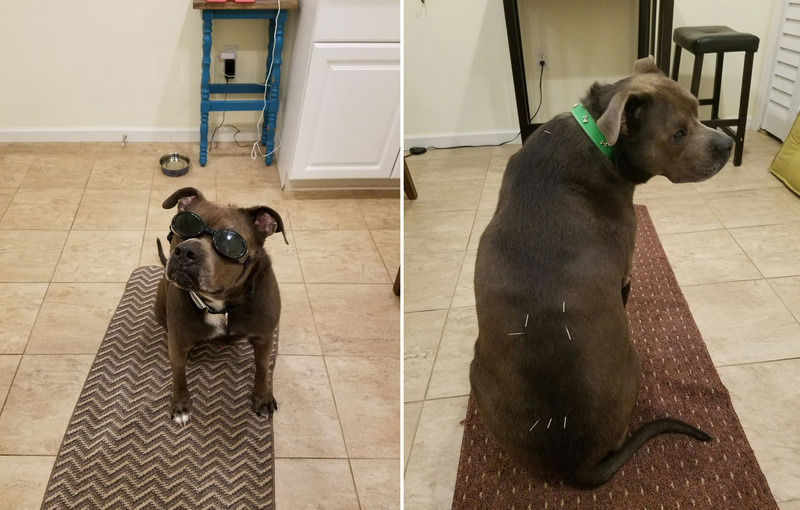 The above photos are Stacie’s dog, Brew, getting acupuncture treatments from Dr. Cichra. Special thanks to Dr. Cichra, for sharing with us! For all our blog readers, we have a chance for you to win a $25 gift card to Holistic Vet Care of Central Florida..
It’s easy to enter: Head on over to the TeamSBK Facebook Page, and leave us a comment stating the name of your pet is. That’s it. We will pick a random winner on Tuesday, April 16th.